Professional Grade form design software wouldn't be complete without the ability to pull data from a lookup table to populate fields on your form. With logiforms, creating powerful forms that pull data in from multiple sources is easy. 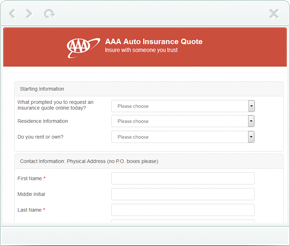 Our Insurance clients love this feature for doing real-time rate quote look ups. Use a dynamic lookup to get insurance rate quote data based on the age, weight and health metrics of you form respondent. Pull in data from a lookup table and then use bindings to run calculations using the values returned. 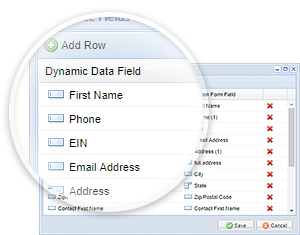 You can return additional data from your dynamic lookup and use it to populate other fields on the form. For example, you could allow your customer to select their company name and instantly have all the other fields (name, address, city..) populated with their account data. Use the dynamic lookup feature to pull data into a drop-down menu, a checkbox group, a radio button group or even populate a static text element to show a formatted list of results. Dynamic Data is powerful and flexible.